Once you have gained an audience, on-site advertisement becomes important. Instant Upsell is one of the tools built for that task with its specialty in dealing with coupon promotion on your site. Ever since first used by Coca-Cola, coupons have been an integral part of any promotion campaigns for their effectiveness, great appeal, and low cost. With the introduction of online shopping, they carry over to the digital world in the form of discount code. Surprisingly, for Shopify-based merchants, there is not much of an effective way to promote discounts inside their own store. Shopify standard Announcement Bar works well, but it can only show one code at a time. Sure, there are some great apps out there that allow announcement bar rotation, but even then manually adding texts and links one by one is very time-consuming and laborious. Pop-up is another choice, but it should best be used sparingly since your customers wouldn’t want to be bombarded by them in every single page. This frustration is especially true when you try to run a site-wide discount program with different products receiving difference coupon rates, or only certain collections get promoted. This is where Instant Upsell steps in and saves the day. 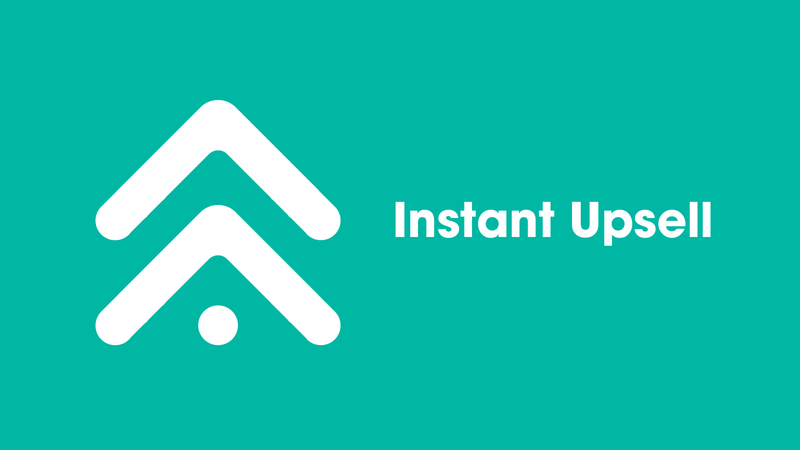 Instant Upsell automatically detects whether a coupon is available by on a page (be it a product page, collection page or homepage) and present an offer for the customers visiting that page. If there is a time limit, a countdown timer will show up alongside the offer. This takes away the tedious process of putting up promotion banners for coupon codes. Which pages the offers appear in is based on the initial setting of the discounts, so you only need to set up the coupon codes once and at the same time you have set where they will be displayed. The automatic promotion process above occurs as soon as Instant Upsell is enabled and the coupons are synchronized with the app. The offer lies in a horizontal bar neatly tucked at either the top or the bottom of the page. When a viewer takes interest and clicks on the offer, a pop-up appears. Within the pop-up is a hyperlinked image of the product (or collection), the price and an “Add & Apply” button. The best feature of Instant Sell, this pop-up allows the shopper to add the product to cart (or go explore the collection), simultaneously apply the coupon and quickly resume to browsing afterward. It creates a smooth shopping experience without interrupting customers’ buying spree. You can quickly synchronize discount codes in bulk by clicking “Sync Now” in the app. Alternatively, updating codes can be done manually inside of a coupon itself. Thanks to this, when just one or two offers need to be created or modified, they can be synchronized without needing to open Upsell. Lastly, a plug-in wouldn’t be complete without the customization options. Color and position of text, button, bar can easily be adjusted to make them in harmony with the rest of your store. You can change the manner in which the offers appear to your need as well. For example, the bar can pop up on opening, after a certain amount of time or on exit intent. There are many possible uses for coupons, but in no ways should they be a burden to work with. Having an automated process eases that chores and allows shop owners to focus on more important tasks. One final tip: pay attention to the number of announcements you’re running before creating new coupon bars. Aside from the coupon offer; Pop-ups, Buy now button and the like should all be taken into account to ensure the promotion won’t get in the way of a smooth shopping experience.